From the moment you arrive, you can feel that things are a bit off kilter. Of course, the look of the place does nothing to dispel this thought. Welcome to Eastern Cemetery, 28-acres located next to the famous and well-groomed Cave Hill Cemetery where Colonel Sanders and Muhammad Ali are laid to rest. But across the concertina wire, Eastern Cemetery lies in tatters, abused by the elements, and vandals, for over thirty years. 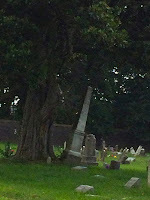 Eastern Cemetery was founded in the 1844 by two Methodist churches. At that time, it was known as The Methodist Cemetery and was one of the earliest burial grounds in the city to allow people of different races and religions to be interred together. 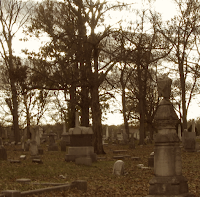 The cemetery is home to some of the movers and shakers of early Louisville along with regular citizens. This includes state officials, mayors, soldiers, slaves, and musicians. 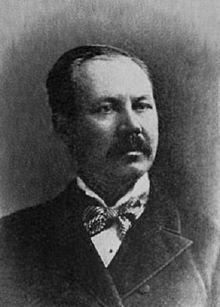 Charles Clarke and Arthur Lommis designed the original Richardsonian Romanesque wake house in 1891. And Eastern was also the first cemetery in Kentucky to have a crematorium. But Eastern Cemetery has a decidedly dark past. 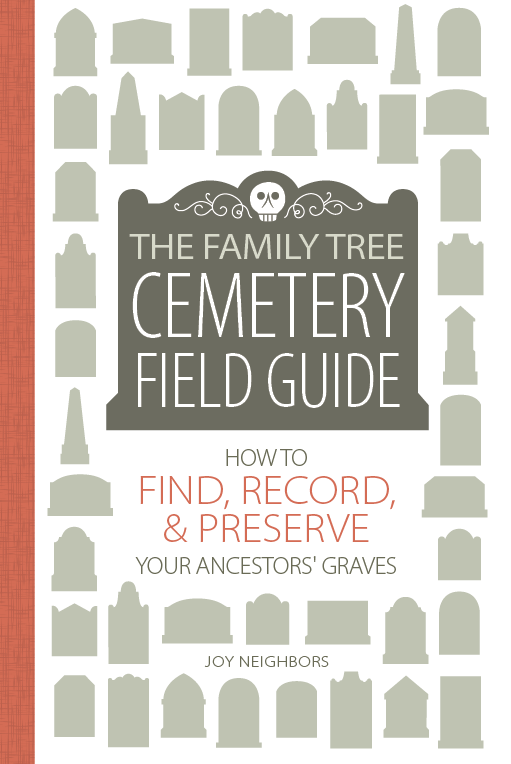 Records from as early as the late 1850s indicate that bodies were being buried in graves already occupied. The New York Times did an article on the cemetery back in 1989 describing how the graves were being resold after the remains and headstones had been removed – at least most of the time. There were also indications that bodies were stacked on top of one another – some buried only a foot or so deep – in order to maximize that burial space, and make more money. In a cemetery with room for 16,000 burials, experts estimated close to 50,000 people have been “laid to rest” here. 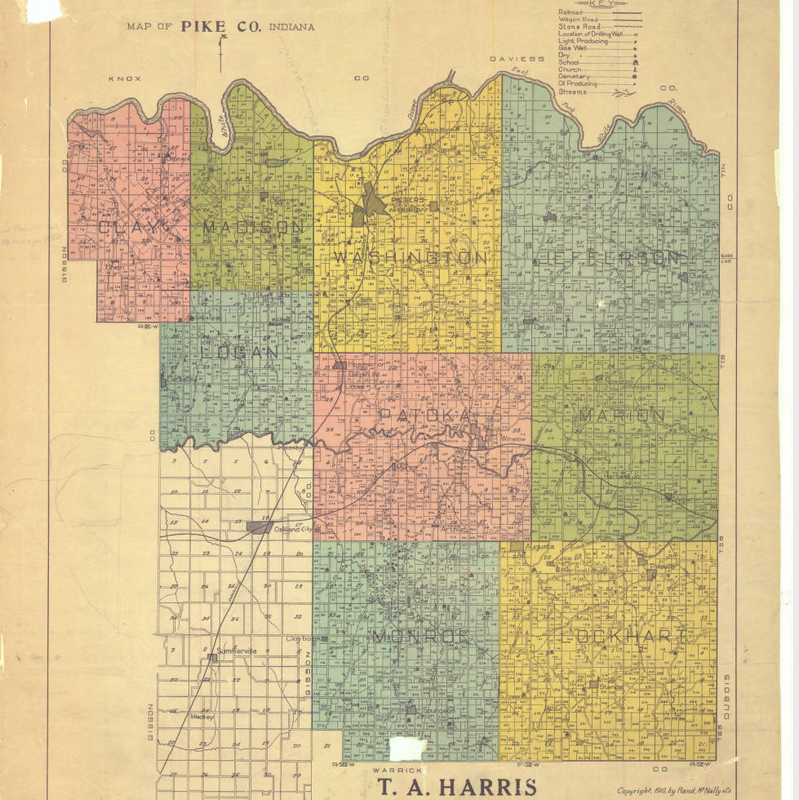 Records shows that of the four grave maps made of the cemetery, covering the years 1880, 1907, 1962 and 1984 – all are inconsistent in grave placement from time period to time period. 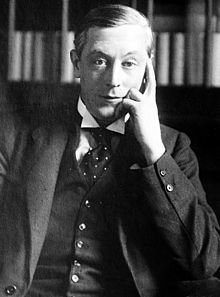 Sections have been redivided and renamed, all in keeping with the reburial of bodies. About ten years ago, an unlocked building was discovered to contain dozens of cremated remains And state investigators reported that more than 90% of infant burials were done in a foot or less of soil. Today, the graveyard is a tangle of weeds, downed trees and toppled stones. 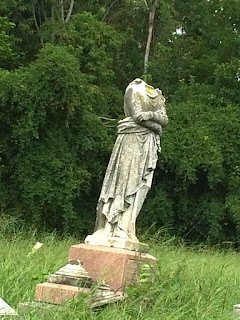 Vandalism is apparent but not as rampant as might be expected. Maybe the negative vibe of the place is off-putting even to those miscreants. 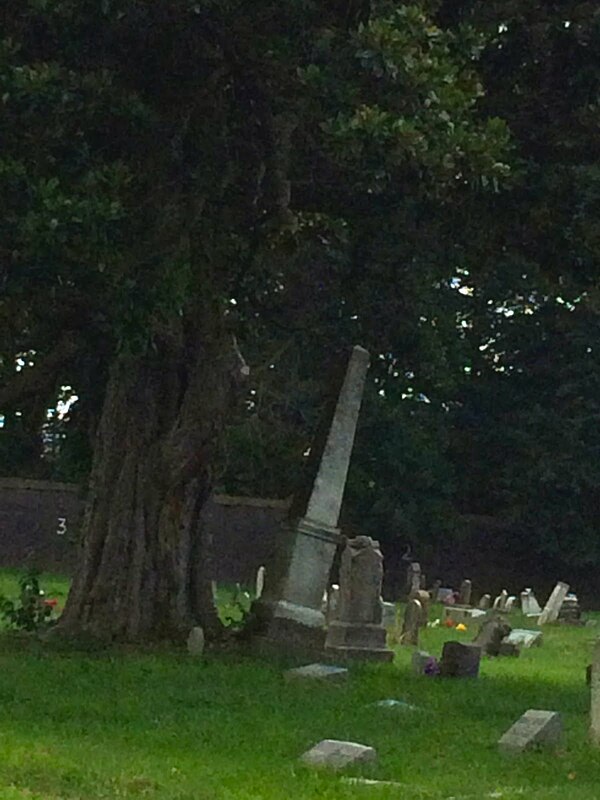 When you enter the cemetery, the air is oppressive and you feel watched from every corner. 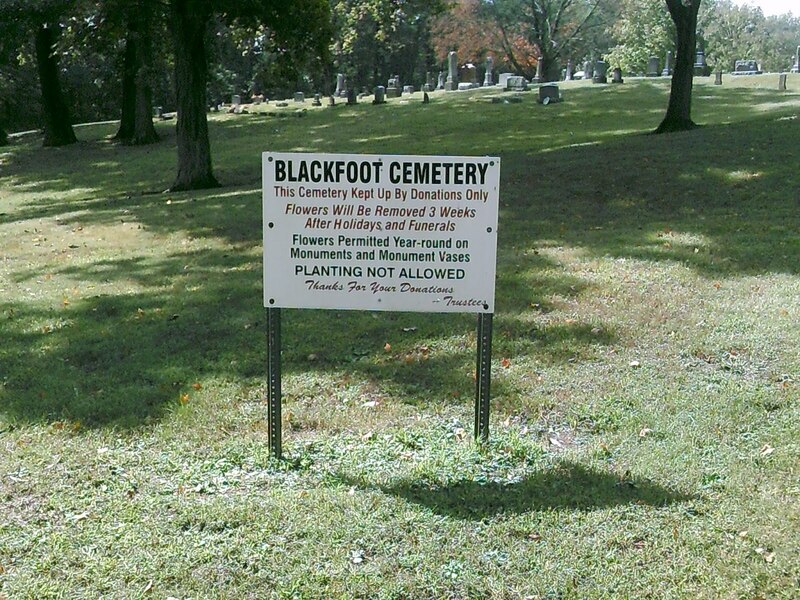 This is not a cemetery that encourages wandering, or even loitering. This is an in-and-out cemetery: in for photos and out as fast as possible. Rumor has it that a nineteenth century lady wanders the cemetery trying to care for the infants graves. Footsteps and voices can be heard, and ghostly figures have been seen in the chapel, and wandering the grounds. But knowing the story, is it any wonder that this City of the Dead is restless? Today, a non-profit organization made up of a caring group of volunteers are working to take back the cemetery. 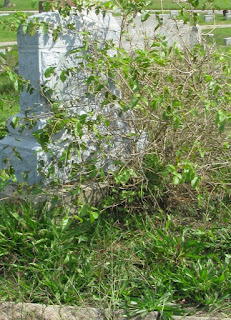 Friends of Eastern Cemetery do what they can to keep the cemetery grass cut, downed trees cut up, and stones repaired. But it seems to be a never-ending job. If you’d like to volunteer, visit their web page for more information. Once again, it's October - a time for hauntings, Halloween - and all things spooky. This month, A Grave Interest takes a look at several haunted cemeteries. Get ready as we explore some ‘lively’ places, and the people who make them so……. Located in the rolling hills of southern Indiana, Pike County is a coal-mining region and farming community. A visit to the area in October offers a pleasant and scenic drive as leaves change colors, and farmers work to bring in the harvest. The largest town in Pike County is Petersburg, known once as White Oak Springs by the earliest settlers at the beginning of the nineteenth century. 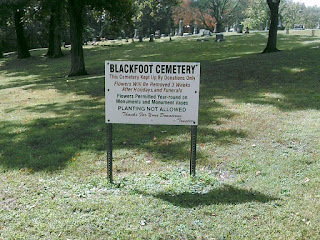 Pike County Indiana boasts numerous cemeteries but the one that is rumored to be haunted is called Blackfoot Cemetery. 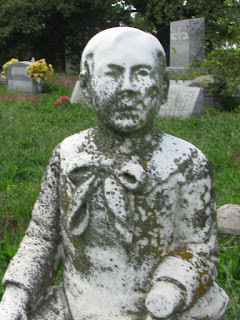 Located in Morgan Township, there are over 800 interments in the cemetery, many of those early settlers to the region. The first burial was that of a woman in a group of settlers passing through. The Indians, thought to be Blackfoot, showed the group where to bury the woman at the top of a hill. This became the first burial ground in the region. 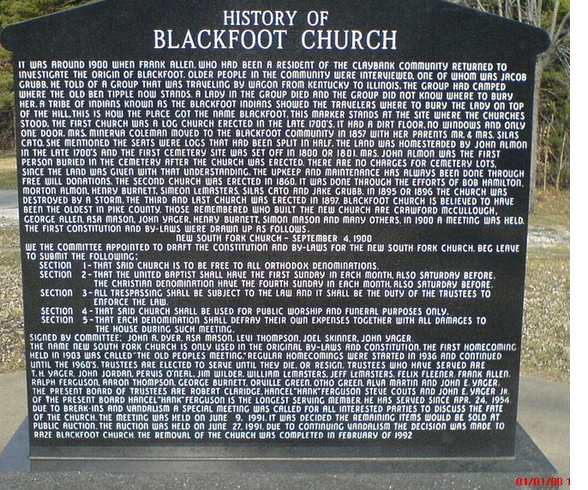 At one time, the Blackfoot Church was located near the cemetery. There were actually three churches by that name. The first pioneer log church was built around 1800 by the early settlers and named for the Indians. (My ancestors were part of the first settlers in this region and visits from the nearby Indians were common.) The first person buried in the cemetery after the church was built was Mrs. John Almon. The second church was built in 1860 and stood until it was destroyed by a storm in 1896. 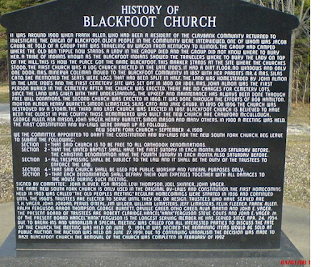 The final Blackfoot Church was constructed in 1897. That church stood for almost 100 years. It was razed in 1992 after vandalism became so bad, the trustees decided it was the best course of action. Blackfoot is a popular name in the region. Besides Blackfoot Church and Blackfoot Cemetery, there is also the Blackfoot Mine, and Blackfoot Landfill. Down a lonely country road, Blackfoot Cemetery appears to be a quiet haven of peace, but visitors have reported seeing shadows dash past and hearing voices and noises whose sources could not be found. 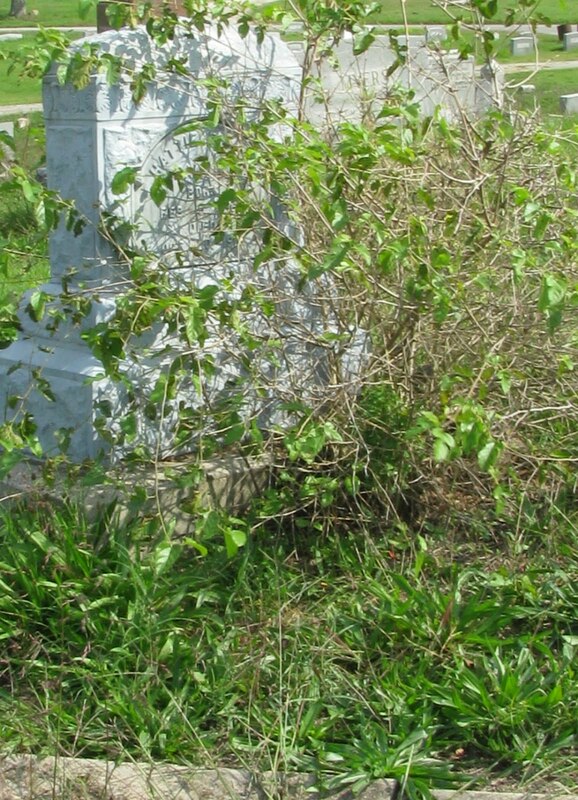 Legend has it that a grave set off by itself is that of a witch. When darkness falls, the cemetery takes on a life of its own – lights and orbs dart past, and the noises get louder, more intense. No one spirit is said to haunt this cemetery – maybe it is the Blackfoot tribe members, still enjoying the life they knew here over two hundred years ago.